Shortstop Chosen to Fill the Place Vacated by Clarke Griffith. 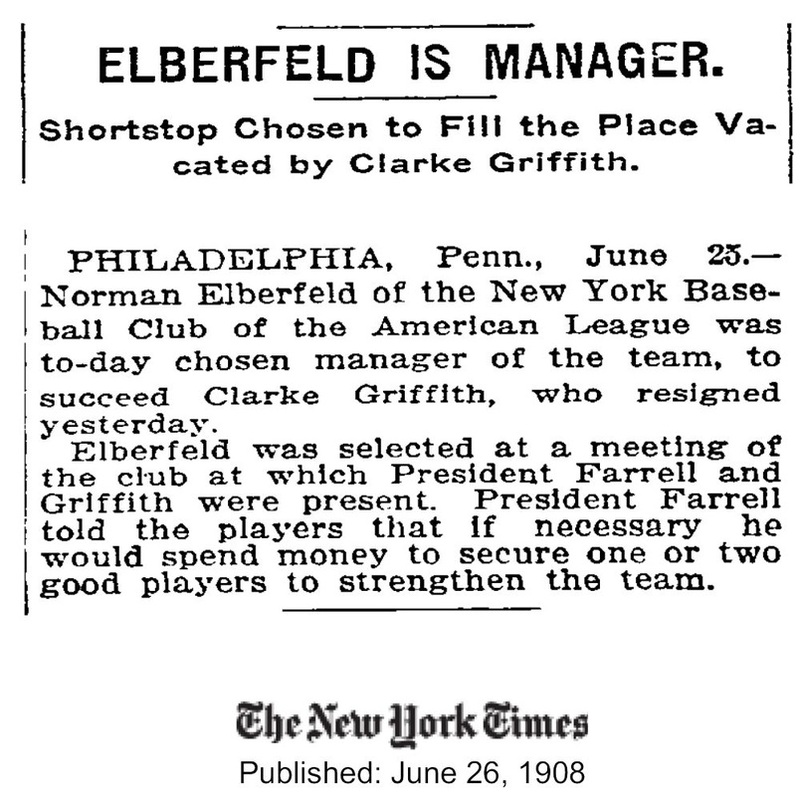 Philadelphia, Penn., June 25 -Norman Elberfeld of the New York Baseball Club of the American League was to-day chosen manager of the team, to succeed Clarke Griffith, who resigned yesterday. Elberfeld was selected at a meeting of the club at which President Farrell told the players that if necessary he would spend money to secure one or two good players to strengthen the team.